Do you wish to get your adrenaline pumping this summer? Are you on the lookout for ways to discover the beauty and bounty of nature? Why not take up trekking adventures in the mighty Himalayas, then? Trust us, all you need to do is book a Darjeeling and Sikkim tour package and explore the unexplored by embarking on adventurous trekking expeditions! The majestic Himalayas have been in the limelight since time immemorial as the trekkers’ paradise. Thousands of tourists come to India every year to take up exciting trekking adventures in the Himalayas. Widely known for it’s numerous enthralling and breathtaking trails, trekking in the Himalayan Mountains can be a journey of self-discovery. Trekking through several monasteries of Darjeeling and Sikkim while witnessing the monks meditating in peace can, thus, be an experience beyond words. Here are a few amazing trekking adventures you must take up during your Northeast trip! For adventure enthusiasts planning a short trip, this trek can be a great choice. One of the most interesting trekking routes in Sikkim, this expedition can be easily completed in 4 to 5 days. 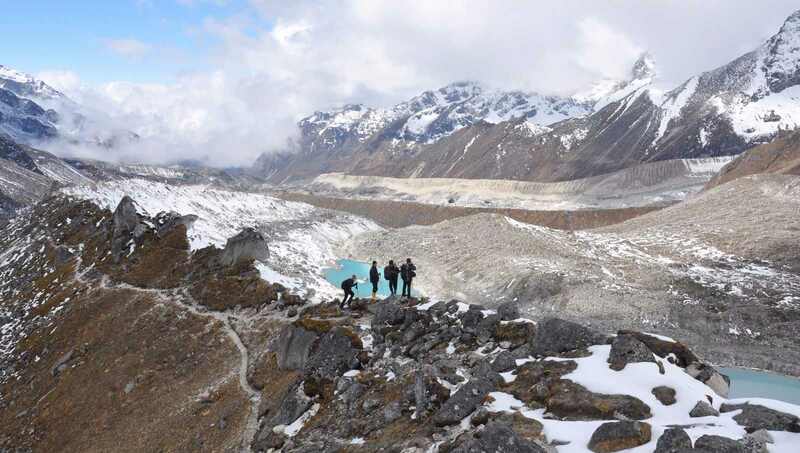 The Yuksom-Dzongri Trek is specially designed for trekkers who wish to explore more in a limited period of time. The trekking trail passes through the beautiful rhododendron forests which are best viewed in the months of May. The Goecha La Trek is one thing which should definitely include in your itinerary while embarking on Sikkim tours. A desire for thousands of adventure enthusiasts all over the world, it is one of the most exciting treks in Sikkim. The beautiful combination of the mighty Kanchenjunga and other big summits around it makes Goecha La Trek the perfect adventure to many. What makes this trekking trail more beautiful is that the landscape is filled with attractive meadows and exotic flowers. Situated at the north-west of Darjeeling, Sandakphu offers a 180-degree panoramic view of some of the most beautiful and highest peaks of mountains around. The trekking trail is popularly known as ‘Trekkers Wonderland’ among experienced hikers. This 6-day long trek takes trekkers through some of the most picturesque locations. The exciting walk along Sandakphu offers amazing views of the revered Sleeping Buddha. Trekkers opting for affordable Darjeeling tour packages cannot afford to miss the Singalila Ridge trek, one of the most famous trekking expeditions all over the world. The Singalila Ridge Trek is a lower elevation trek which is best arranged from Darjeeling. Depending on your travel needs, this trek can either be extended to five days or done in as little as three days. The trekking route is widely known for offering pristine views of the Mount Everest and Kanchenjunga. You can even climb Sandakphu, the highest point of the Singalila mountain ridge. With this list of the greatest treks at your finger-tips, don’t you think that a Darjeeling-Sikkim trip can indeed be a memorable experience? Quickly approach a leading travel agency and book an assorted tour package!